St Columba’s School Team win Regional Final. At the Regional finals in Dundee on Sunday 11th March Both District 1230 teams came out winners. 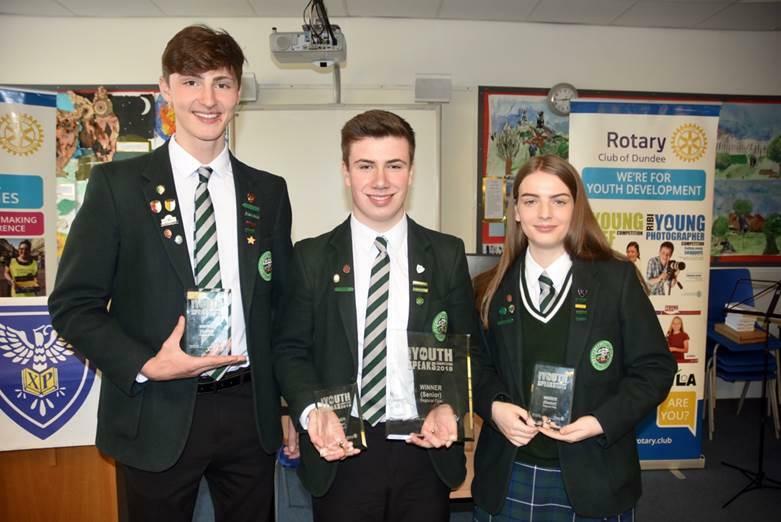 The Senior competition of Regional Youth Speaks was won by St Columba’s School sponsored by Gryffe Valley. The Intermediate competition was won by St Andrew’s and St Bride’s High sponsored by East Kilbride Rotary. The standard was high in both competitions and they were keenly contested. The best wishes of all in District 1230 go with the teams who now go forward to the National Final which is being held in Exmouth in May.